COLOMBO, Sri Lanka -- For many people, this teardrop-shaped tropical island at the southeastern edge of India did not come up in conversations until the devastating Dec. 26 tsunami. It left at least 30,000 dead and more than 1 million homeless in Sri Lanka, which suffered the second highest toll among countries hit by the disaster. My trip to Sri Lanka took place a few days before the Sinhalese New Year on April 14, which marked the start of a week of celebrations. Despite ongoing ethnic conflicts between Tamil minorities and the majority Sinhalese, the holiday is celebrated by Sri Lankan people of all ethnicities and religions. In the run-up to the New Year, women dressed in colorful saris and men in plaid sarongs crowded the markets, shopping for holiday clothes, gifts and food. But they seemed to move at a slower, more contemplative pace, with memories of the recent disaster still fresh in their minds. NGO posters and relief aid signs were visible at the airport just outside of the capital, Colombo, and along the roads. In her New Year's message to the public, Sri Lankan President Chandrika Kumaratunga said full-blown celebrations would not be appropriate this year. In the few months since the disaster, things have been looking up for Sri Lanka. With international donors having promised $1.5 billion in aid, the country is beginning the painful but necessary process of national reconstruction, particularly in the heavily hit southern and eastern coastal regions. Taking a realistic stance, Udaya Nanayakkara, chairman of the Sri Lanka Tourist Board, emphasized that the country's healing process could be initiated by rebuilding the country's image first, particularly through its large tourism industry. "It's true that we have received much publicity following the tsunami, but it's for the wrong reasons. We are interested in turning this popularity into something good and now our promotional activities have been embraced in several countries," said Nanayakkara. Before going into further detail, the truly unromantic conditions of the trip need to be laid bare. There was no riding on bejeweled elephants under brightly colored umbrellas in a tropical rain forest (although Sri Lanka is capable of making that fantasy a reality). There was no reliving of scenes from Michael Ondaatje's dreamy family memoir, "Running in the Family," or sipping tea at a plantation in khakis, as the evening cooled just enough to give one the shivers. Instead, our group of about 20 reporters from Korea were in an air conditioned bus. We traveled on narrow, bumpy roads that snaked out of Colombo toward the central part of the country, where the principle part of our journey took place. On the outskirts of Colombo, we drove slowly through boisterous markets full of green coconuts, small red bananas, sarongs, and cellular phone stands. Women shielding their faces from the sun or occasional showers with black umbrellas would glance up at our gleaming white bus, smile and wave with curiosity. There are nine principle provinces in the Democratic Socialist Republic of Sri Lanka. The country gained independence from the British in 1948 and changed its name from Ceylon to Sri Lanka in 1972. The capital city Colombo and the administrative capital Sri Jayewardenepura are located on the coast in the Western Province. 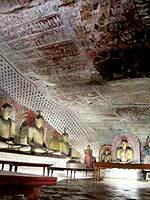 The three major cultural cities, or the "cultural triangle," is located inland in the north central region, and is comprised of former capitals Anuradhapura, Polonnaruwa and Kandy. The island has a diverse ecosystem, with tropical rain forests, grassy plains and sandy beaches. The climate is warm and tropical, although the interior hill country region where tea plantations are located can get quite cool in the evening. Our first stop was the Pinnawela Elephant Orphanage, nearly 130 kilometers from Colombo and near the town of Kegalle. The orphanage was founded in 1975 by the Department of Wildlife to care for baby elephants abandoned by their mothers. In a cleared area formerly covered by coconut trees, visitors can watch the elephants get baths or pet them gently across their rough, hairy heads. We continued to head north after a pleasant lunch at the Elephant Corridor resort. As it grew dark, the bus drove further and further into a dense jungle area. What sort of place would we be staying at for the night? Finally, the narrow passage opened up to reveal the Kandalama Hotel. Set into the side of a hill overlooking a lake in Dambulla, the elegant and eco-friendly hotel was designed by the late Geoffrey Bawa, one of the country's most famous architects. Instead of the typical unsightly, gray high rise hotels found throughout Korea in the mountains and by the sea, the Kandalama seemed to literally embrace its surroundings, hugging the side of a lush, forested hill. Sipping a cup of Broken Orange Pekoe the next morning, I had to convince myself that the chirps and whistles I was hearing were not cellular phone ring tones but the songs of real birds making music to the rising sun. Sigirya Rock Fortress, one of the country's seven UNESCO World Heritage Sites, was on the day's itinerary. The giant 180 meter-tall rock formation dates back to the 5th century A.D. and is a commanding presence, as it proudly juts out of a flat landscape. The beautiful, geometric gardens surrounding the rock and a palace at the top were built by King Kasyapa in the late 5th century. Legend has it that Kasyapa had murdered his father, whose palace was located in the ancient capital of Anuradhapura, some 60 kilometers northwest of Sigiriya. Kasyapa was said to have set up his own little kingdom full of pleasure gardens, a fortress and palace, fearing revenge following the parricide. His brother Mogallan eventually stormed Sigiriya with an army and the story goes that refusing to surrender to his brother, Kasyapa committed suicide. Before his tragic end, Kasyapa managed to create a beautiful but somewhat treacherous home. The area leading up to the rock includes tranquil gardens, seating areas and fountains. On the way up to the foot of the rock where two enormous lion's paws are located, we passed a cave that contained frescoes of semi-clothed women. Because the palace was turned into a monastery after the king's demise, many of the sensual frescoes he had commissioned were chipped away. It's a wonder why anyone would want to live so impossibly high up. I struggled for breath, making the steep climb up the face of the rock. Ahead were a group of young monks in saffron-colored robes, shielding their glimmering pates with umbrellas. Despite being barefoot, they had no problem climbing the almost nonexistent stairwell. When I finally reached the top, I discovered why Kasyapa wanted to live up on this big boulder: the view was spectacular. Following Sigiriya, we visited several Buddhist monuments and temples. Nearly 70 percent of the population practices Theravada Buddhism while the second largest religion is Hinduism, at 15.5 percent. There are also smaller Muslim, Catholic and Protestant populations. But Sri Lanka is most closely associated with Buddhism, the religion having been first introduced into the country in the 3rd century B.C. Today, thousands of Buddhists make pilgrimages to sites like the famous Temple of the Tooth in Kandy. Kandy is the capital of the Central Province and has an old-world atmosphere, compared to the more urbanized Colombo. Kandy and the hill country region remained independent even as the Portuguese and Dutch had taken over the coastal areas of the country in the 16th and 17th centuries. Even as the independent kingdom fell to the British in the early 19th century, the area maintained a rich and distinctive culture. The city is now known as the religious center of the country. The Temple of the Tooth, or Sri Dalada Maligawa, is located within the royal palace complex, and houses the tooth of Buddha. Several people were sitting on the floor in prayer outside the ornate room housing the world's only remaining relic of the Buddha. The flamboyant horn and drum ritual music being played that evening was accompanied by the soothing patter of bare feet (visitors are required to take off their shoes before entering). One of my major lessons in cultural difference came outside the temple where vendors were selling lotuses and jasmine. An older woman had bought a lotus to take to the temple and I asked if I could take her photo. Cradling the large flower in her hands, she shook her head from side to side. Discouraged, I began to walk away until I noticed that she was smiling. It was then that I remembered what our guide had told us: a gentle bob of the head from side to side in Sri Lanka means yes, not no. I snapped her photo and thanked her in turn, by moving my own head from side to side. After lunch at the coastal fishing town of Negombo, just a couple of kilometers north of the capital, we headed back to Colombo. Along the way, new houses that were being built had a curious feature. In front of partially constructed roofs and doors, scarecrows had been placed, some of them upside down. Initially it appeared this might have been a ploy to scare away curious animals, but our guide told us it was a kind of gesture of modesty. Building a new home exudes money, and people did not want to attract attention to this symbol of wealth and place a scarecrow to distract onlookers. Additionally, the guide mentioned that families rarely constructed a house in one fell swoop. They start with the bedroom and move in, slowly completing the living room, the kitchen and the rest of the house. Following the devastation wrought by the tsunami, the process of rebuilding homes will be much quicker. But the quiet, patient mindset of ordinary homebuilders probably holds true too. Beyond the historical and religious sites or the food, it was the quiet grace of the people throughout the trip that made it so memorable. All along the way, people found the time to stop and ask where we were from, how did we like Sri Lanka, and whether we would come back. On the last day, a street hawker stood outside our bus, trying to sell a strip of spice samples for a dollar. When he realized no one was interested, he struck up a conversation. He asked where I was from, and I answered, Korea. I jokingly asked whether he was from Sri Lanka. He laughed, "Yes, I'm from Sri Lanka. It's good, no?" He took my hand to shake it, and let out a hearty goodbye.